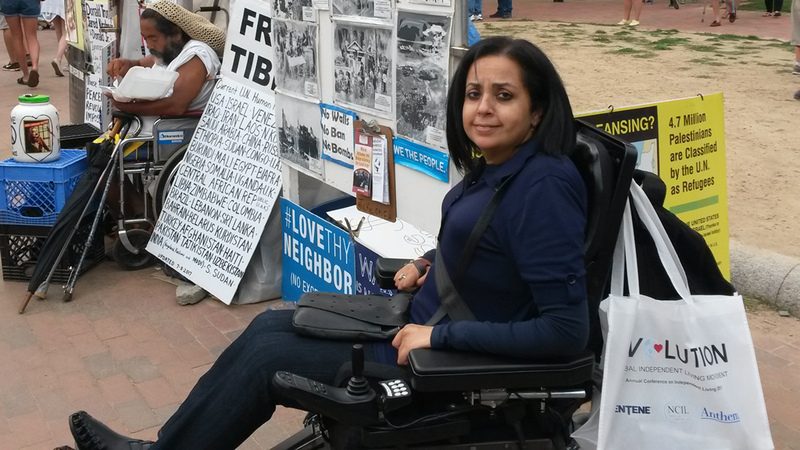 Nadia is an activist for the right to an Independent Living and a member of various organizations that defend the rights of people with functional diversity. She has participated in Working Groups of the Belgian State, European Union, International Disability and Development Consortium (IDDC) and the United Nations for the follow-up and implementation of the Convention on the Rights of Persons with Disabilities (CDPD). In the university environment, she is a researcher in different areas and thesis coordinator for students focused on adapted technologies and functional diversity in the Catholic University of Leuven. She usually teaches conferences and seminars on cooperation and rights of people with functional diversity in universities, official organisms, NGOs, etc. She studied civil engineering and specialized in mechanics and water resources. She also conducted studies on human ecology, environmental coordination and philosophy. She has developed projects for different NGOs, in India, Ecuador, Cameroon and Palestine, among others, and worked for the Cooperation of the Belgian Government. She is a member of the Board of Directors of the Damiaan Foundation, organization for development.